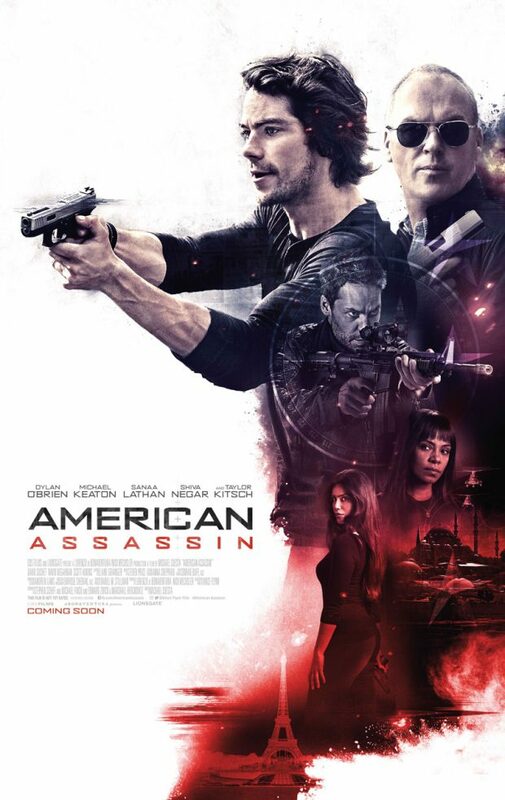 After his fiancé is killed right in front of him, Mitch Rapp throws himself into extreme training to seek revenge in Michael Cuesta’s American Assassin. 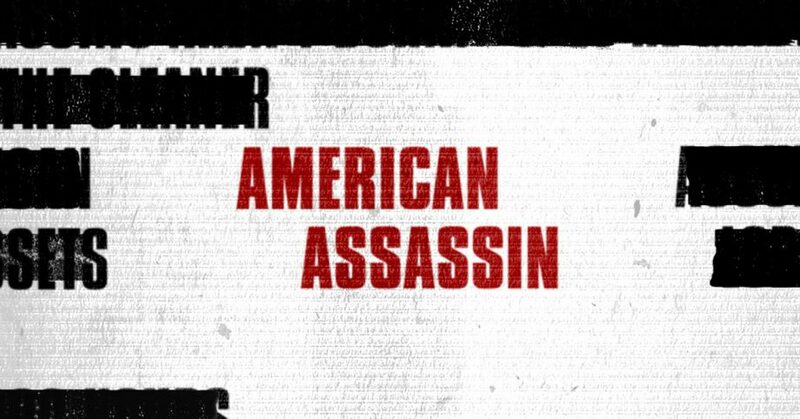 American Assassin is really striking in its opening moment. We are introduced to Mitch Rapp (Dylan O’Brien) filming his girlfriend as he proposes to her. In a very short time the film establishes their relationship believably and Dylan O’Brien has really good chemistry with Sydney White. It’s a relationship that feels almost worth investing in which makes the tragedy associated with Emily’s death all the more impactful. After this brief opening the film changes gears to show the change as Mitch as a character. He quickly transitions from a normal 20 something living happily with his girlfriend to a hardened vigilante who is focused on learning as much as he can about combat and attempting to infiltrate a terrorist cell. The shift in personality is quite staggering and Dylan O’Brien does a really good job selling both sides of this transition. Not much is made of him going through this change other than a brief montage but there is a clear difference in the character seen through O’Brien’s impressive performance. Dylan O’Brien impresses throughout. The writing doesn’t always serve him well but his performance is consistently strong and his physicality is always believable. I feel that the film would have been more interesting if it had focused on the sense of loss that Mitch feels and the steps that he took to become a living weapon rather than rushing to the point where he is fully competent. The plot itself is somewhat messy and the characters become lost in it. Michael Keaton does a good job as Mitch’s mentor; Stan Hurley though isn’t overly taxed as an actor so I suspect it was an effortless performance. He has some funny lines and capably comes across as a grizzled veteran of life experience. Unfortunately the film fails to realise that the core relationship in the film is between Mitch and Stan and wastes any potential it had to engage the audience with this. The standard markers of something interesting are there from the mentor seeing something of himself in a problematic recruit to the growing respect as the story progresses but so little is made of any of it that there’s nothing to latch onto. O’Brien and Keaton do their best but have very little to work with. The story suffers from an identity crisis as it constantly shifts gears. It starts out as a revenge tale then transitions to a training narrative before going completely off the rails with a ludicrous world ending plot. There’s nothing here that hasn’t been done countless times before and it feels like the film is trying to be a lot of things at once while failing to commit fully to any of them. A more streamlined narrative with a clear focus would definitely have been a lot better and made for a more pleasant watching experience. Late in the game the film tries to introduce the main antagonist in the form of Ghost (Taylor Kitsch); a former pupil of Stan with a massive chip on his shoulder. The potential to play up the connection between Ghost and Stan was there but untapped and the implication that Mitch acts as something of a second chance for Stan falls completely flat. Taylor Kitsch does a good job when on screen but the character feels like an afterthought which gives Kitsch very little to work with despite the obvious path that the character could take. Despite all of this the film is competently directed. The action sequences are unmemorable but aren’t bad to look at and the pacing for the most part is fairly solid though it does lag significantly in the mid section and suffers from awkward transitions between the various plot lines. There are a handful of really effective moments throughout that elevate the material somewhat. With a little more work this film could have been more than the sum of its parts but the finished product reeks of unfulfilled potential. Dylan O’Brien is very impressive in the lead role as he delivers an engaging performance and believable physicality. Michael Keaton also impresses though isn’t overly taxed as an actor and the film fails to make use of the obvious core relationship between his character and Mitch. The film similarly fails to do this with the villain and the plot is a mess of vastly different overlapping narratives making it difficult to latch onto. There’s a good film in here somewhere but it’s hidden under a sea of wasted opportunities.